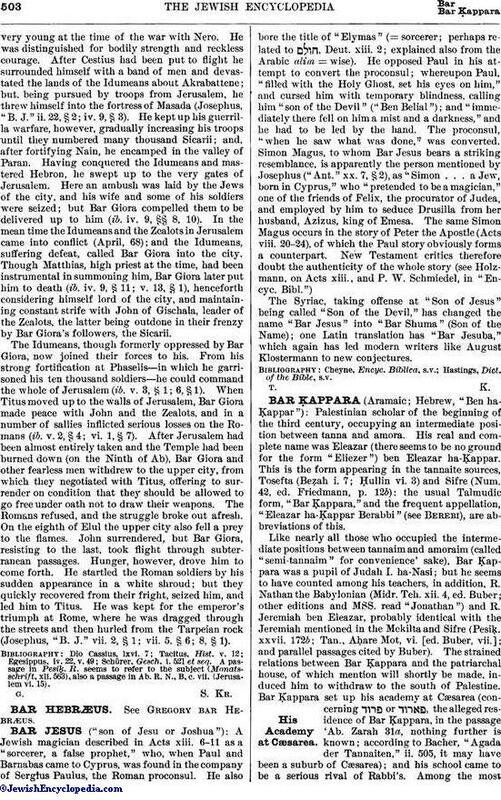 The Syriac, taking offense at "Son of Jesus" being called "Son of the Devil," has changed the name "Bar Jesus" into "Bar Shuma" (Son of the Name); one Latin translation has "Bar Jesuba," which again has led modern writers like August Klostermann to new conjectures. Hastings, Dict. of the Bible, s.v.